Let’s get straight to the point. You’re here because you need to find a Halloween fancy dress costume that’s cool, comfy and sure to impress either your partner, or your mates. 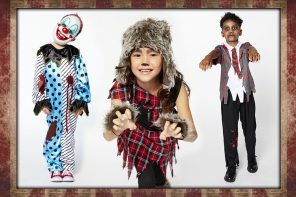 We’ve picked out our favourite outfits from our extensive selection of men’s Halloween costumes. All you’ve got to do is choose your favourite, and you can get it delivered to your door within 24 hours! Everyone’s got their favourite horror film killer. Freddy Krueger. Jason Voorhees. That guy from the Saw films. The list is endless! When it comes to fancy dress, this year our go-to guy is Halloween’s incredibly persistent knife-wielding maniac Michael Myers. 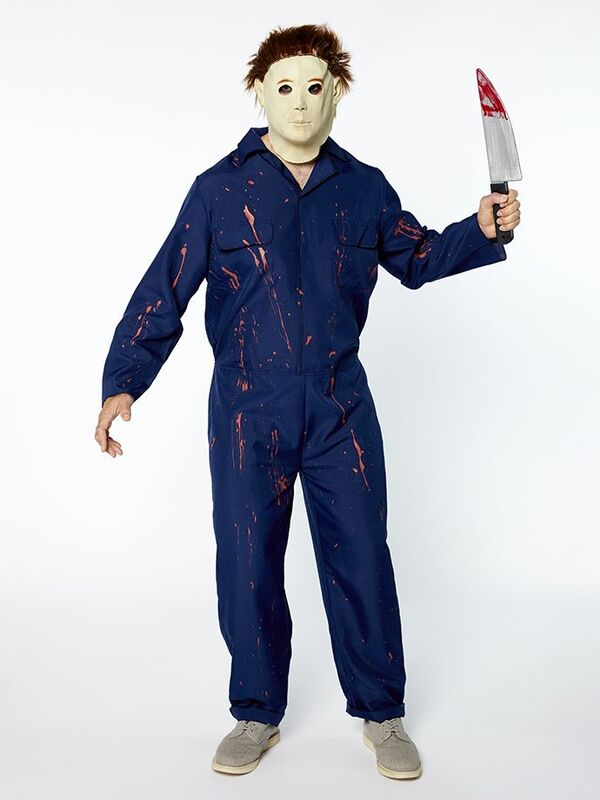 Here he is from 1998’s Halloween: H20, complete with bloodstained jumpsuit, plastic knife and that classic mask. Perfect for film fans! If you’re thinking of dressing up as a scary clown for Halloween, Pennywise is the original and best! 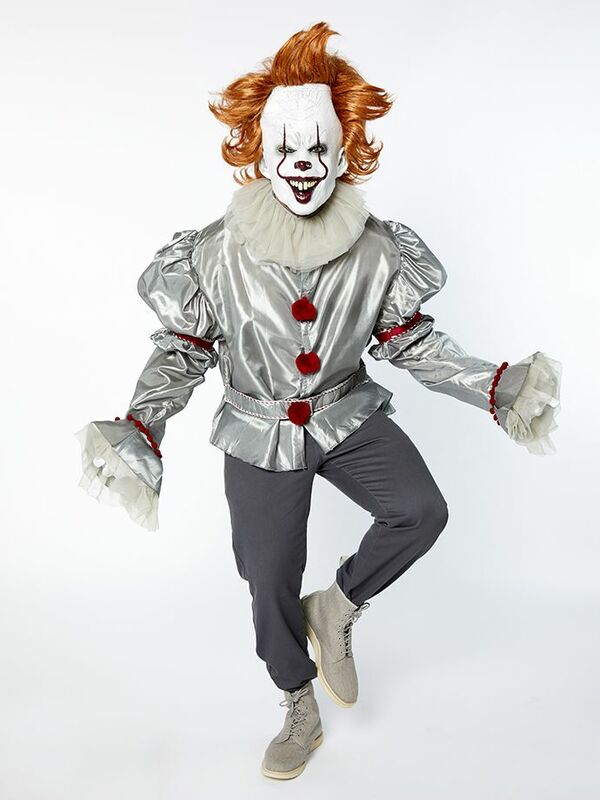 Stephen King’s creepy creation has been haunting our nightmares for years, and of course he returned to the big screen in 2017’s It, which inspired this amazing outfit. The star of the show is the super-realistic latex mask, which will really help you get into character. Just promise us you won’t try and hide down any drains – that only works in films! 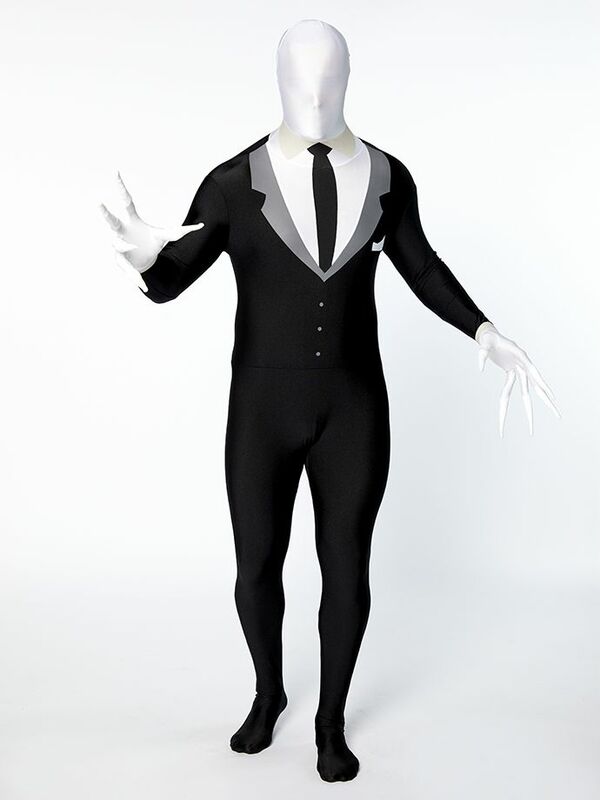 The Slender Man is a pretty creepy looking dude, and he looks pretty good in a suit too. We’d say that’s a winner for any Halloween costume! This one-piece bodysuit makes getting ready a doddle, and the simple zip fastening has its uses, too! Whether you’ll still be the Slender Man after scoffing all those Halloween treats is a question for another day! If you’re dead set on finding a costume that no one else will be wearing, we’ve got two words for you – Inflatable Death! 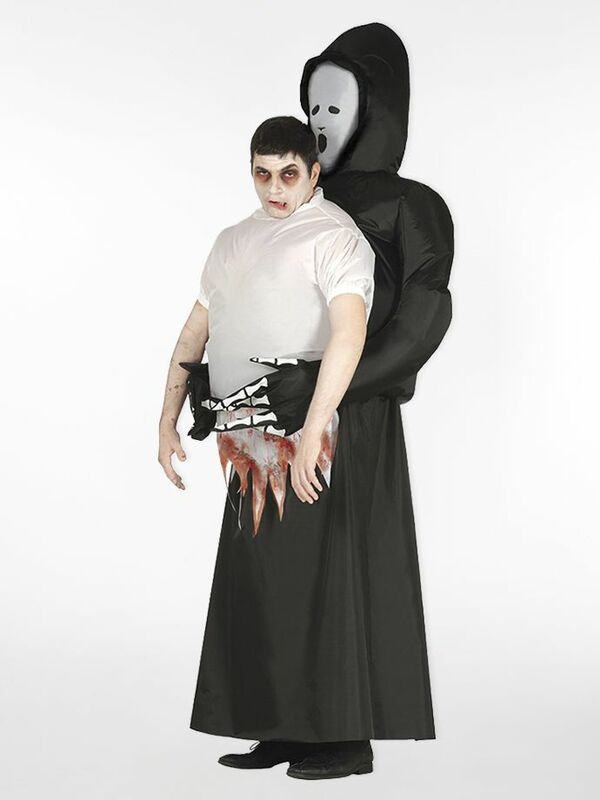 We can’t think of many better ways to attract attention with your Halloween outfit than turning up as a torso being carried around by a Grim Reaper. The chances of anyone else coming up with that one are pretty small, we reckon! 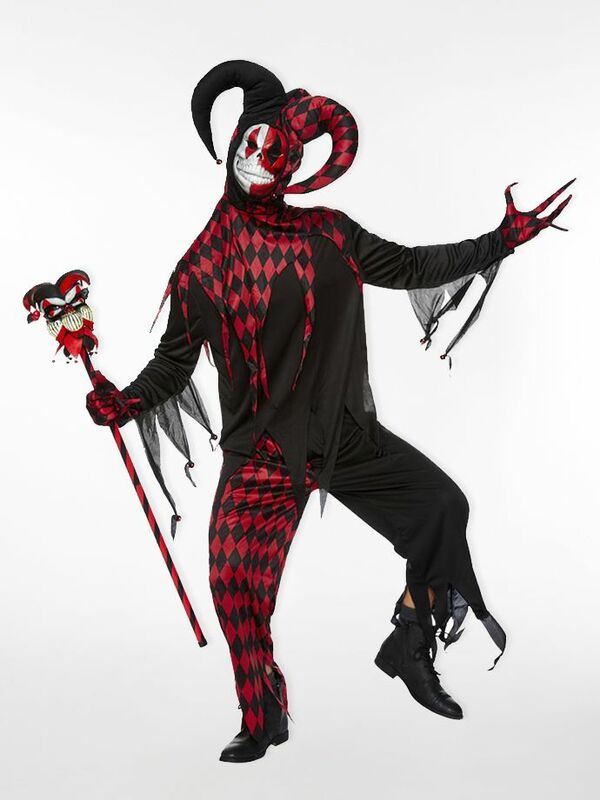 There’s definitely something funny about this jester – we’re just not sure it’s his jokes! You can take a look at this creepy customer in action below, and don’t forget to get that cool jester’s cane to really complete the look. What’s this? What’s this? Well, it’s a brilliant Halloween costume based on the main character from Tim Burton’s The Nightmare Before Christmas! 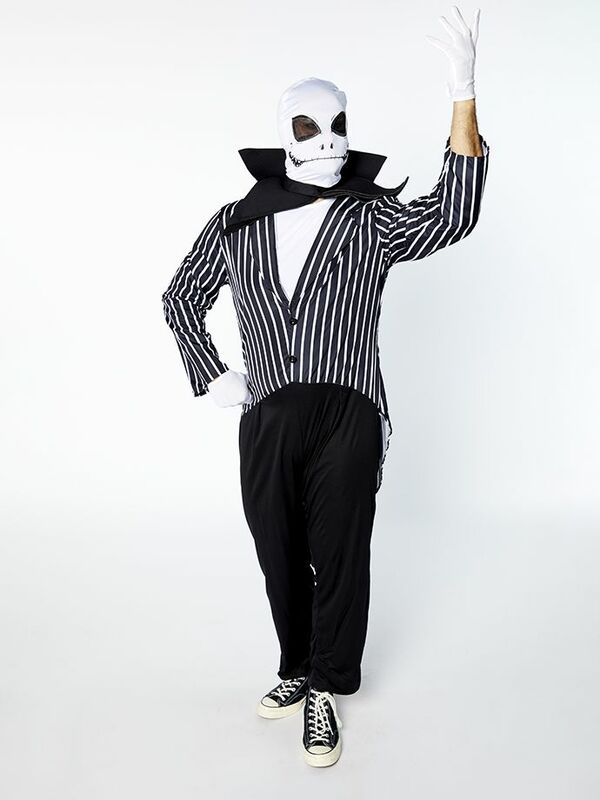 Jack Skellington is a great choice for a family-friendly Halloween fancy dress party, as he’s not too scary and kids will recognise him straight away! It’s not normally a compliment where you’re told you look like Death. In this case, you can make an exception! 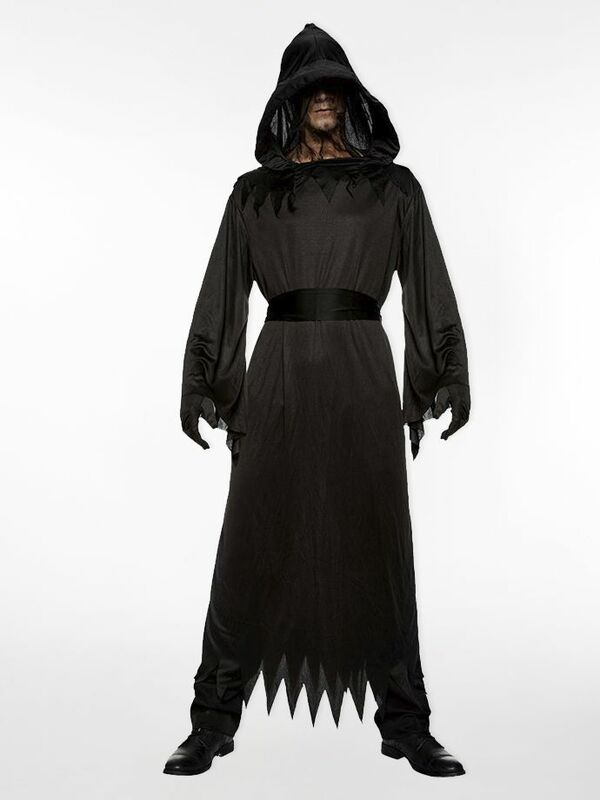 This Grim Reaper cloak is a classic solution to the Halloween costume conundrum. We’ve even got an impressive Halloween scythe to take your costume to the next level! Have you ever wondered what the Grim Reaper would look like with a pumpkin for a face? Well, wonder no more with this fun outfit! See how the classic Grim Reaper cloak is joined by a gruesome pumpkin mask. That terrifying grin is enough to give you nightmares, or at least get you to the front of the buffet queue! It turns out that not even a man of the cloth is safe from the army of the undead! 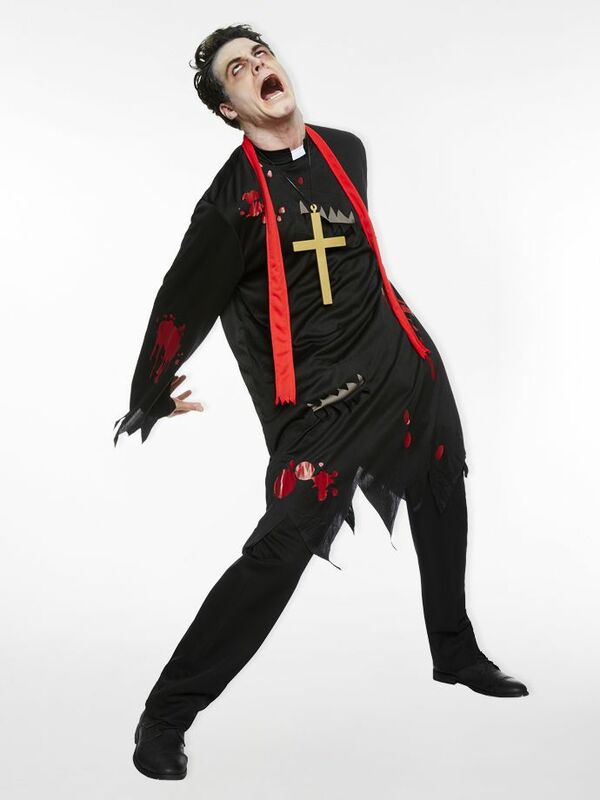 This petrifying priest is the answer to all your Halloween prayers, and it’s an outfit that’s comfy enough to wear all evening. Right, now that your costume’s sorted, there are plenty more things on your Halloween to-do list that we can help with. Check out our Halloween blog for more useful tips, from party food ideas to organising a kids’ party.